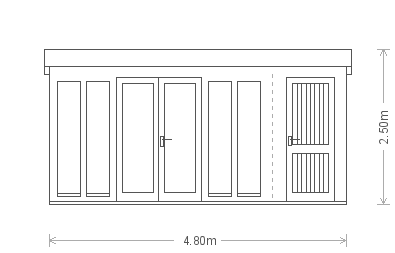 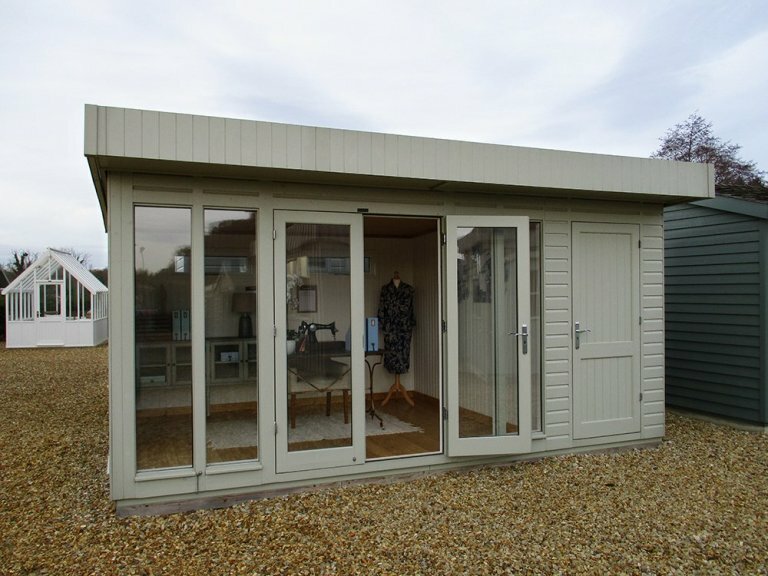 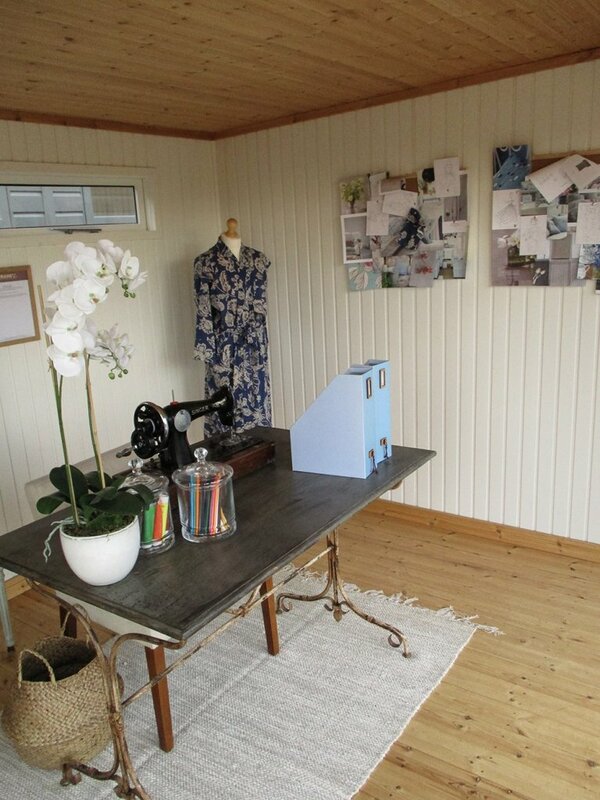 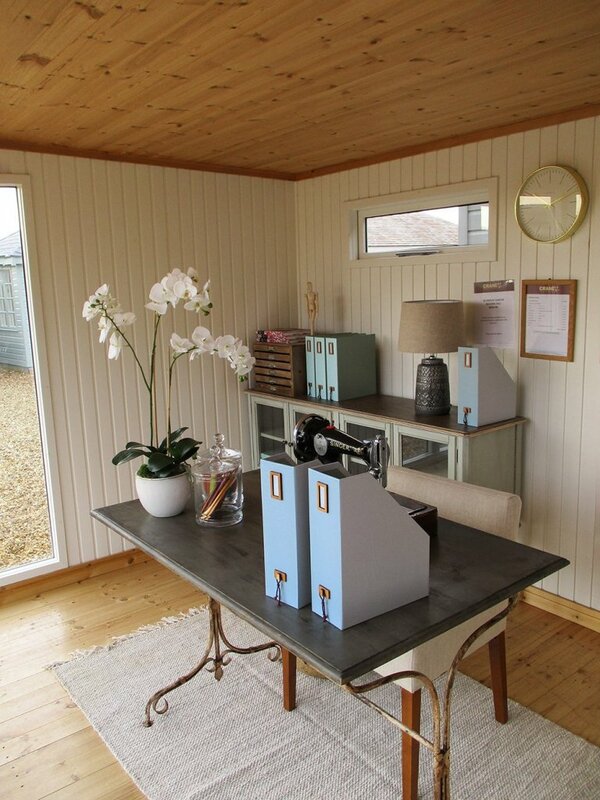 Partitions are an option with our buildings, as demonstrated by this 3.0 x 4.8m Salthouse Studio with storage partition. 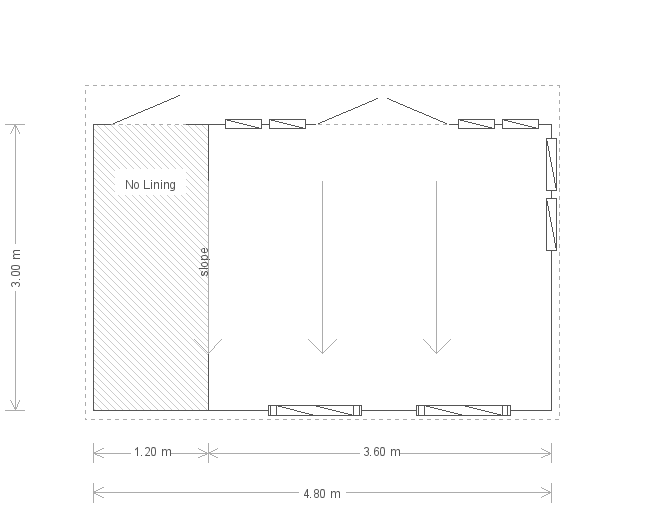 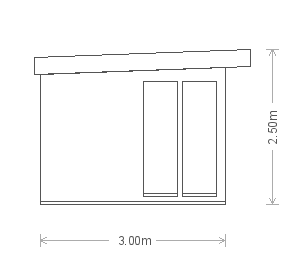 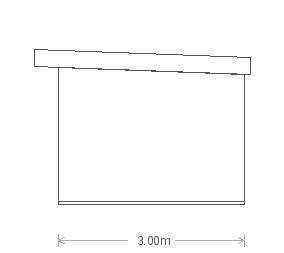 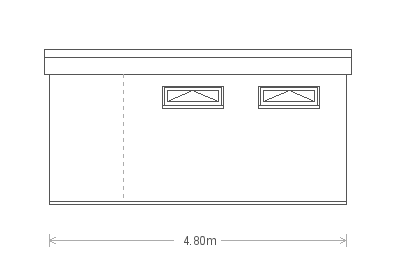 The main studio area of this building is 3.0 x 3.0m in size, and the storage partition is 3.0 x 1.8m. 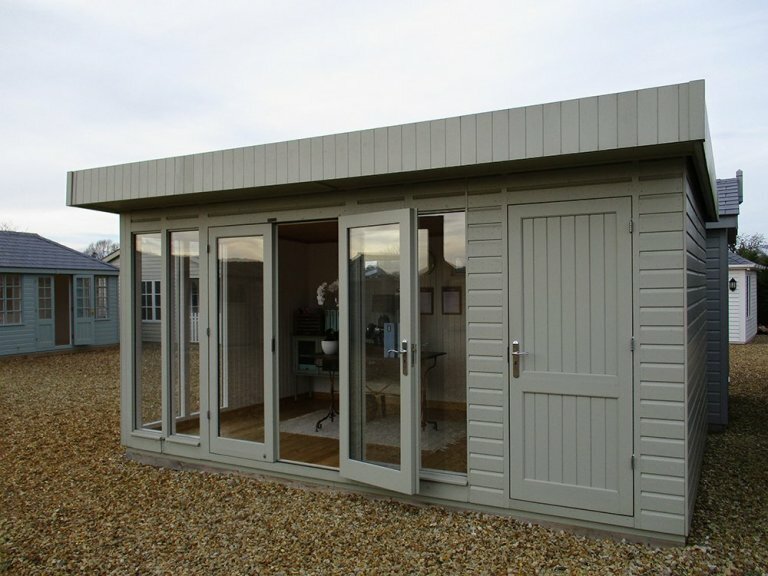 There is heavy duty felt on the pent roof, and the building has been painted in French Gray, a colour from our paint range with Farrow & Ball. 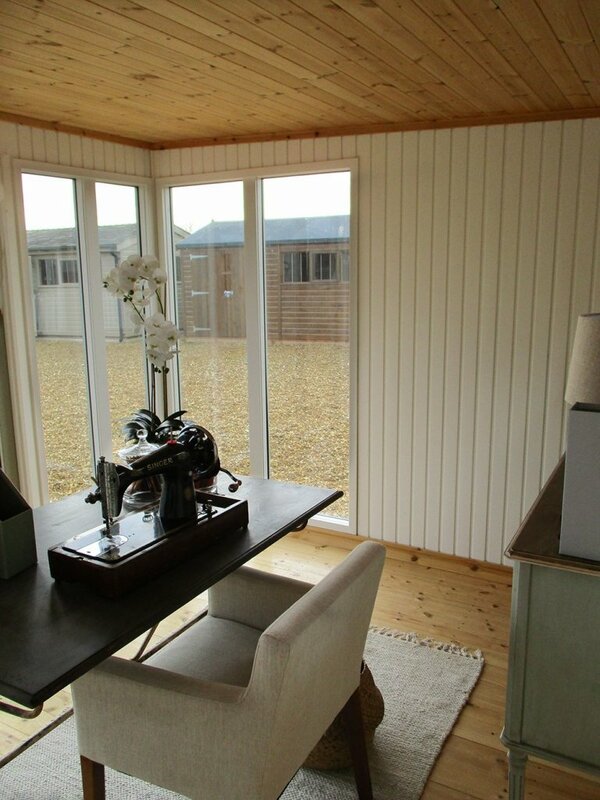 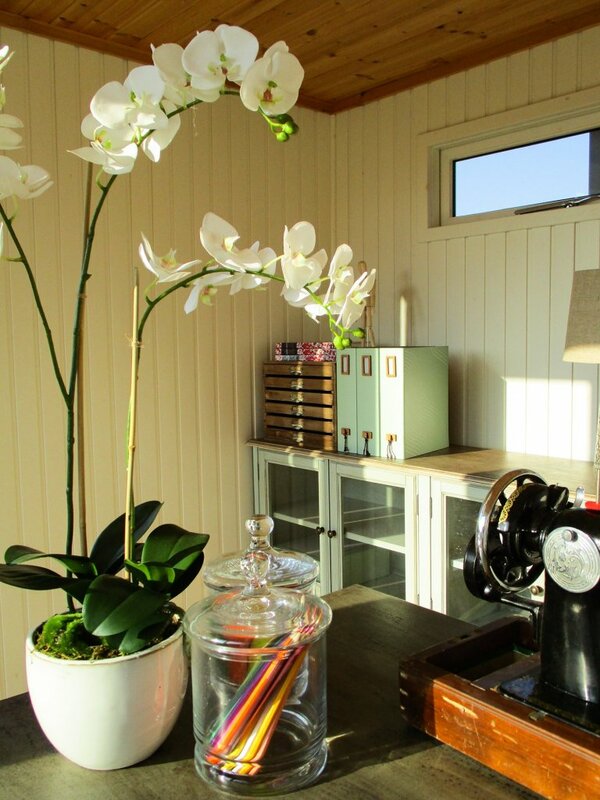 There is a joinery door on the front side to lead into the storage area, and other features include double glazing for all the windows, and a Natural lacquer on the floor, painted matchboard lining on the internal walls, and full insulation in the studio section.